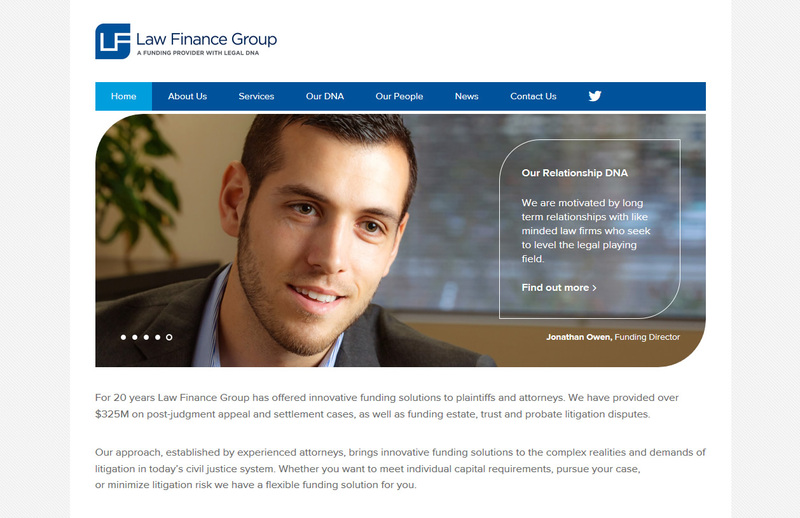 We’re pleased to launch a new responsive website for Law Finance Group, a litigation funding provider based in San Francisco. Using the new brand identity developed by our friends at Projector, our designs focus on the legal knowledge and experience of their team, a key attribute which underpins their strapline of ‘a funding provider with legal DNA’. We also promoted their unique position as pioneers in litigation funding, having provided over $325M to attorneys and plaintiffs to meet their funding needs since 1994. The website has been developed responsively, ensuring the very best user experience whatever the device, and has been developed using WordPress, allowing the client to maintain and manage the website moving forward. 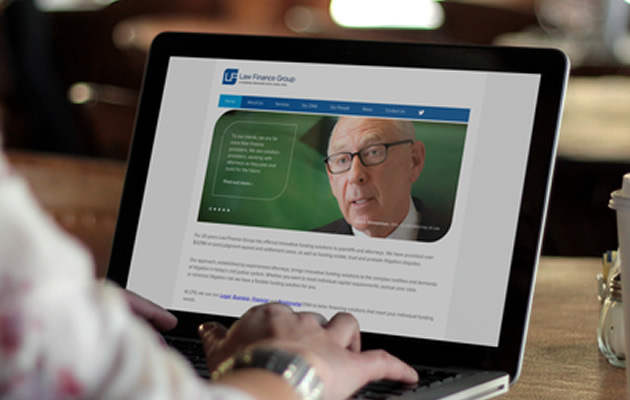 As usual, we’ve used Basecamp to help manage the project through and keep everything on track, whilst regular Skype calls with LFG helped us build a rapport with the team and deliver a new website that meets all of their objectives.